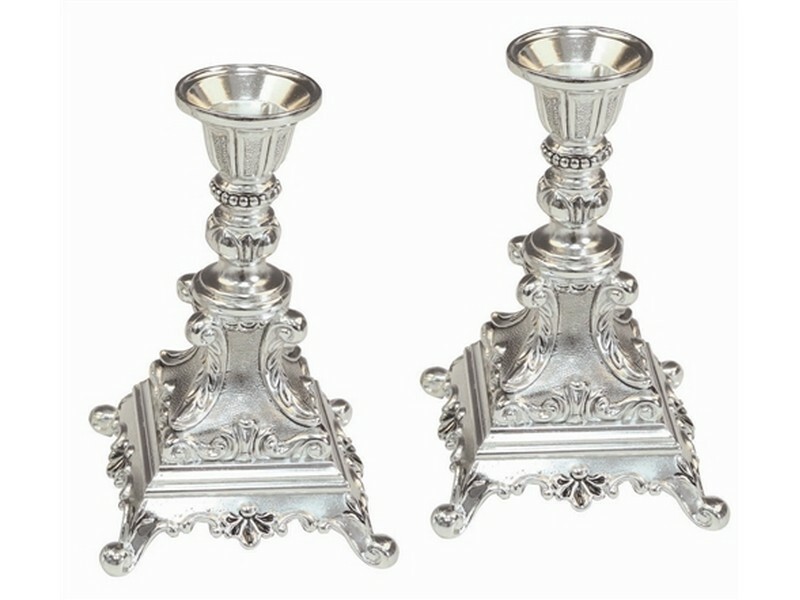 These beautiful silver plated candlesticks are sure to add elegance to your Shabbat table. Ornately designed these candlesticks have four legs under a square shaped base. Intricate details with a traditional design create a masterful set of candlesticks. Candlesticks can be used with standard sized candles or glass holders.